Trying hard to uncurl my toes after blogging about my jammies last night. Eep. Deep breath. Moving on. What a night tonight, anyway. E and I managed to keep arguing about the thing we started arguing about last night... it's worth a whole blog post in itself, but it comes down to time away vs. money. I'm sure that's not unique to us. That doesn't seem to make it any more fun to talk about. So how'd we spend our QT after working through it? By cleaning the bathroom together. Not a euphemism, either. Literally cleaning the bathroom, which was gross, bee tee dub. Me: tub, sink. E: toilet. I feel compelled to share with you something that I just learned tonight as a result. Something that will make my life much easier when it comes to cleaning. Are you ready for it? Bleach: It BLEACHES STUFF. I feel like a big bag of duh. I've been forever cleaning bathrooms with cleanser alone, which can be tough when it comes to shower grout and tub caulk. It seems to require a lot more elbow grease. Cut to me pouring bleach straight on the yuck tonight out of a bad case of the lazies and then being pleasantly surprised when (moments later, like magic, y'alls) all the yuck went away. I'm not a dope, internet. But my mom's super allergic to anything and everything with a strong smell... so I just didn't know about bleach because I didn't grow up with bleach. Edited to add: I wasn't MIXING cleanser and bleach, either. Just using bleach and water ONLY last night. NEVER mix cleansers, because you can create a toxic gas. And now I do know about it. Bleach, it bleaches stuff. File that under O for obvious, along with Wow, beer is great when you drink it with pizza! People should know this. 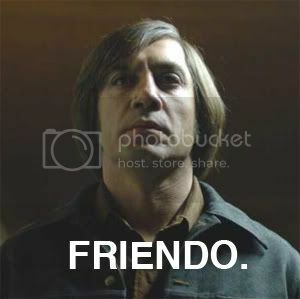 So it was one heck of a Cinco de Mayo, friendo. No tacos or cervezas. I had homemade chili and a glass of milk before I remembered my personal six-pack of Pacifico in the fridge (separate beers in my house, cuz of the allergies, you know). And I'm not lying when I say that I wish I got to go to fondue for Cinco de Mayo like I did last year. After hitting that bathroom grout hard, I needed a snack. Cracked open my first Chobani (Greek yogurt) from Whole Foods. Not too shabby. Really thick. Thicker than sour cream. Not so sweet, but (shh!) I added a teensy bit of honey and it was great. Plus I just like to say the name. CHO ban i. Chobe-on-ee. 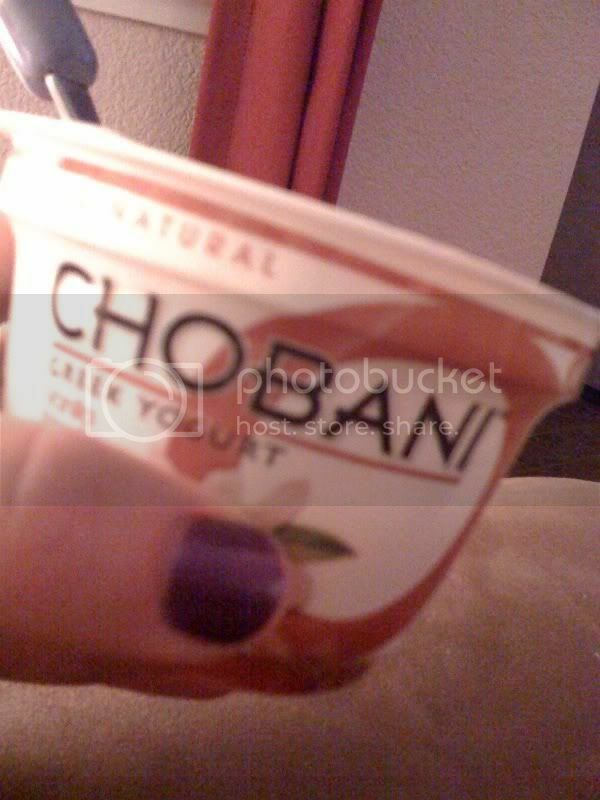 Chobani. Ah, teevee... ANTM and Modern Family. Love Modern Family. Oh yeah. Back to cozies tonight. And my favorite cozies, from NY, to boot! Don't mix bleach and Pine Sol. You will literally die. True fact. Oh no! I know that. I was using bleach and water only. I'll change the post so that's more clear. Yes, I know the rule about not mixing cleansers. Dangerous stuff!